Stop Foreclosure and Repossession Now. No one ever plans to get over their head in debt. But sometimes bad situations happen to good people and they fall into a difficult financial situation through no fault of their own. 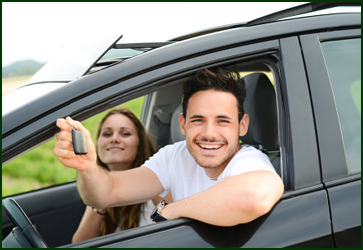 Many people’s biggest concern when they are in a debt situation is keeping their home and keeping their automobile. Our experienced debt resolution and bankruptcy lawyers can help get you out of this rut and back on the road to recovery. Chapter 7 Bankruptcy will delay a foreclosure but won’t block it permanently. You’re more likely to be able to keep your house if you file for Chapter 13 bankruptcy (see below). However, Chapter 7 can get rid of other debts (credit card bills, medical bills, judgments, etc.) freeing up enough money for you to start making your house payment again. Additionally, Chapter 7 bankruptcy can often eliminate the debt owed under any second or third mortgage. This means the owners of the 2nd or 3rd mortgage debts can’t sue you for money and/or foreclosure. While Chapter 7 doesn’t permanently prevent foreclosure, it can DELAY foreclosure proceedings for two to four months. So even if you are considering giving up your home eventually, Chapter 7 can buy you valuable additional time to find a new place to live and to move. However, if you have equity in you home and/or you really want to keep the home permanently but can not afford the current mortgage payments, you may want to consider filing Chapter 13 bankruptcy. Chapter 13 Bankruptcy offers individuals the advantages over liquidation under Chapter 7 of offering individuals an opportunity to save their homes from foreclosure. By filing under Chapter 13, individuals can actually stop foreclosure proceedings and may cure delinquent mortgage payments over time. Generally, you don’t give up any property in Chapter 13 bankruptcy. This means that if you are behind on your mortgage or facing foreclosure, Chapter 13 (unlike Chapter 7) allows you to make up mortgage arrears through your Chapter 13 “re-payment plan”. 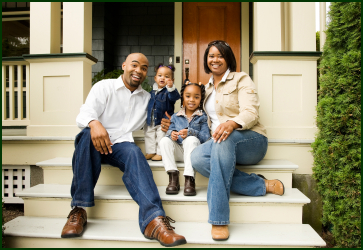 Chapter 13 bankruptcy also provides other tools to reduce your home mortgage debt. You can “strip off” second or third mortgages or home equity lines of credit in certain situations. This can also serve to reduce your home loan debt significantly. When you file Chapter 13 Bankruptcy your lender can’t foreclose on your house because of pre-bankruptcy mortgage arrears (missed payments) if you are curing them through your repayment plan. The moment you file for Chapter 13 bankruptcy, an automatic stay is created. The stay prohibits your mortgage lender from selling your house or continuing any other collection efforts. This stay will remain in effect as long as you make timely payments under your re-payment plan, and continue to pay your ongoing mortgage payments as they come due after your filing date. Chapter 7 bankruptcy does not permanently prevent a car repossession. However, Chapter 7 can temporarily delay the lender from repossessing your car – which will allow you more time to negotiate or to get caught up. Also, Chapter 7 can get rid of other debts (credit card bills, medical bills, judgments, etc.) freeing up enough money for you to start making your car payments again. When you file for Chapter 7 bankruptcy, an automatic stay is put in place that prohibits most creditors from continuing ANY collection activities. This means that your lender cannot repossess your car without getting the Court’s approval. However, a Chapter 7 Bankruptcy usually lasts only a few months – so once your case is closed, there is no stay and the lender is free to repossess the car. Additionally, the Lender can ask the Court for Permission to repossess the car BEFORE the Chapter 7 is closed. So, unless you can show that you are making payments and attempting to catch up on your arrears, most Chapter 7 judges will grant the lender permission to repossess before the case is over. When you file for Chapter 13 bankruptcy an “automatic stay” is put in place that prohibits most creditors from continuing collection efforts against you – this prevents your car loan lender from repossessing your car. You can usually permanently keep your car if you file for Chapter 13 bankruptcy. If you are behind on car payments, you can make up the arrears through your Chapter 13 repayment plan and avoid repossession. Additionally, if you are upside down on your car loan (you owe more than the car is worth), you might also be able to reduce the value of your car loan to the current replacement value of the car. This can substantially lower what you owe as well as what your payments will be. If you are facing foreclosure or repossession call our bankruptcy lawyers immediately. The best way to prevent a foreclosure or repossession – and keep you home and car – is to consult an experienced bankruptcy lawyer as soon as possible. Ther are many things that a debt resolution lawyer can do to help you protect your property from creditors. 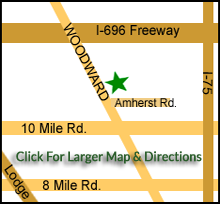 Our skilled bankruptcy lawyers have helped thousands of individuals in Wayne and Oakland County stay in their homes and keep their vehicles. CLICK HERE or call us immediately for your FREE Consultation. We can help!